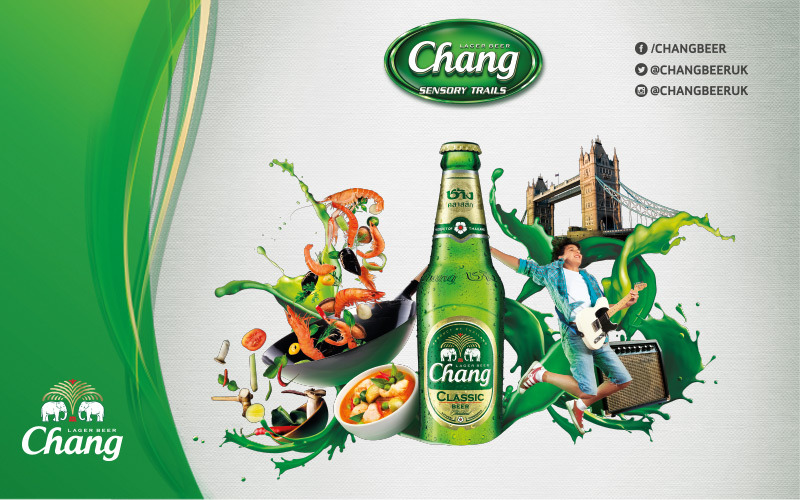 To celebrate the return of Chang Sensory Trails to London, we are giving one lucky winner the chance to win a year’s supply of popular Thai lager, Chang Beer. On Saturday 12th May, Chang Sensory Trails will come to Last Days of Shoreditch, running from 12pm-10pm. This free to enter event offers live music, interactive art, delicious food from some of London’s best Thai restaurants including Tawana, Bang Bang Soho, Patara, 101 Thai Kitchen, Lao Café, Rosa’s Thai Café, Thai Tho and Nipa Thai and of course, refreshing Chang Beer! Chang Sensory Trails is the perfect recipe for a memorable day out with friends! Following its success in previous years, Chang Sensory Trails is heading ‘on tour’ with events in Birmingham, Manchester and Edinburgh to follow in June, July and August. To keep up to date with details of Chang Sensory Trails and for more chances to win follow Chang Beer UK on Facebook, Twitter and Instagram.